Sometimes in life we experience setbacks. It can be easy to get frustrated with our detours in life. When we can take a step back and remember that setbacks are also forward progress, we can change the energy we interact with. 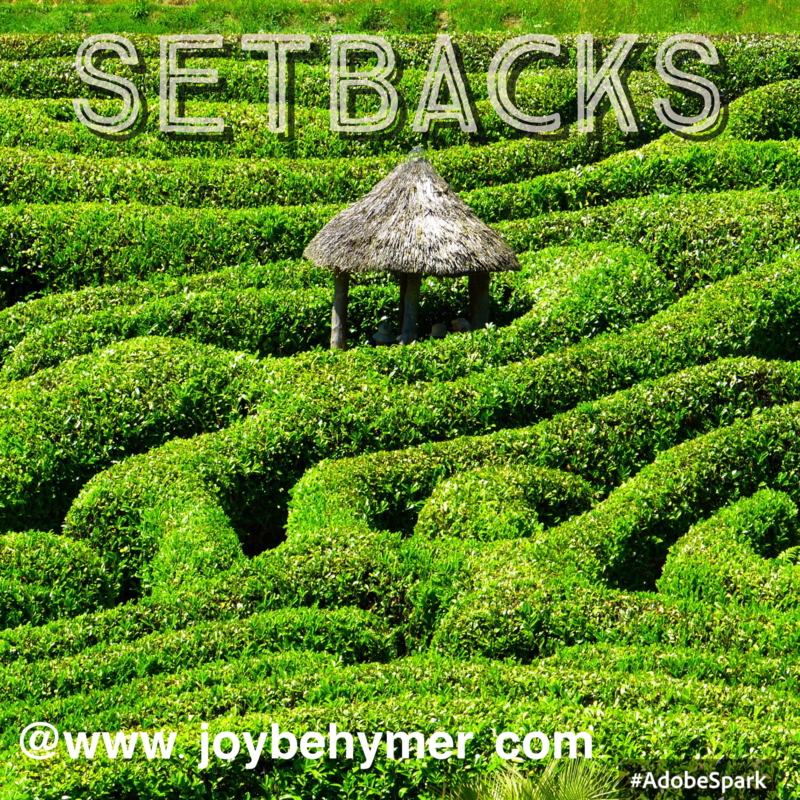 Many times our setbacks are really setups for better success. We often need the detours to prepare us for situations ahead. We may initially try to take the perspective that things are going wrong simply because it wasn’t in our plans. No matter the path in life, we will experience variations not planned for the destination. These fluctuations present opportunities to learn and grow. As we grow, we strengthen what we do. Learning is generally more effective when you directly experience it. So when someone advises you on a road they have traveled, keep in mind yours will always still go differently even if your goal is a similar road. You cannot duplicate the process in life. When things happen, they happen for you. When you compare your experience with others, you miss the opportunities to help yourself. When we can focus on what is happening for us, we can understand our setbacks and detours in a way that helps us. When we get discouraged because things aren’t going the way we wanted or planned, we can block the liberation that comes with the experiences. So many successful people have fallen and failed at several ventures and avenues before they found the niche that catapulted them to success. If we look at setbacks as failures, we may give up our dreams and goals, not knowing the setbacks were needed for the catapult. If we can take a step back during setbacks and polish our perspective towards understanding that there is something to be learned, we change the energy moving forward. We can pivot towards a more rewarding experiences. Success is generally reached through a process. It’s called a process for a reason. There are no straight lines. Nor can anyone tell you exactly what to expect on your journey. The future in its full magnitude is the mystery of life we get to work with. Nothing is guaranteed in the process or how things will go. We can look at it as a scary horrible thing causing worry. Or we could see it as a magical mystery with many possibilities. How we look at it directly affects how we feel. Our feelings have power in the universe. Many people have quoted the phrase “what you think, you become.” The thoughts you think, the words you use, and the energy you give out all affect your reality and experience. Being mindful of how you think and feel also allows you the option to change. Don’t you think it’s nice to know that if you don’t like what you are experiencing and getting, you have a choice in changing it? We often think we don’t have the power to change things. We do have the power to change ourselves and our perspective of the situations. That is where our power and leverage lie. Sometimes we find this strength in the setbacks. Setbacks can teach us some of our greatest lessons. Without them, we may never reach our set goals.